Excellent. Nice looking perfect view. AGAIN. Nice looking perfect view. Better than the picture. Great price for the family. Never know it could be that good. Everybody in the family are HAPPY. 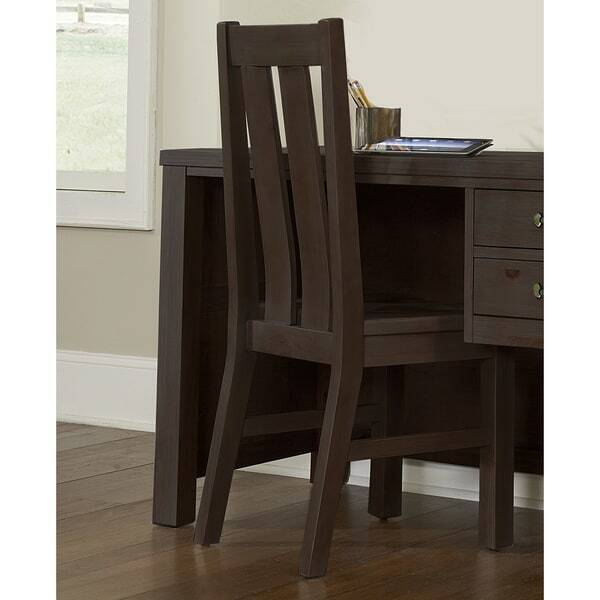 Drawing inspiration from American industrialization, the Highlands desk chair is built with durability in mind. The chair features a rich espresso finish and rustic design that makes it a fashionable addition to almost any home decor. Dimensions 19.0 In. X 17.75 In. X 40.25 In. Chair was SUPER easy to put together - it took about 10 minutes and is well explained in the enclosed directions . It arrived quickly and I would buy again. The chair seems to be very durable. "Is there a cushion on the seat. What assembly has to be done?" There is no cushion. You will the seat frame, seat, stretchers and front legs on. "Hi, What is the seat high? Also, Is there a cushion on the seat? Will it be possible to add more pictures showing different sides of the chair please?" The Seat Height is 18''; No Cushion. "What is the weight limit of this chair?" We do not currently weight test items. We apologize for any inconvenience.